Two weekends ago I spent two days learning from a walking encyclopedia. Mark Warren operates Medicine Bow, a primitive school of Earthlore, in the north Georgia mountains near Dahlonega. Though I attended his Stalking/Tracking class, Mark’s willingness to veer onto other paths and integrate useful plants in the Eastern Woodlands only enhanced my learning experience. One edible plant we discussed was Wapato (Sagittaria latifolia). Other common names include ~ Duck Potato, Arrowhead, Wapati, or Katniss. As a fan of The Hunger Games, I always wondered how the arrow-slinging heroine, Katniss Everdeen, received her unusual moniker. Now it makes perfect sense on two levels. Sagittaria in Latin means “arrow”. It also refers to the archer constellation Sagittarius. The obvious one, right? As long as you can find yourself, you’ll never starve. In keeping with the Hunger Games theme of this article, we’ll use the common name Katniss when referring to this wild food. 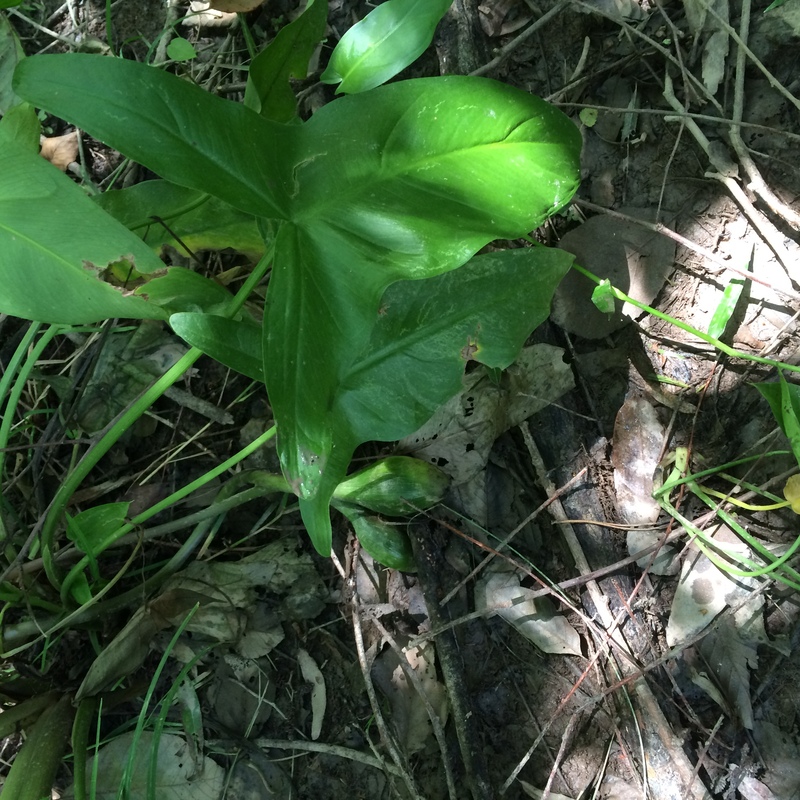 Katniss (Sagittaria latifolia) tubers were a staple in nature’s pantry for indigenous peoples of North America. 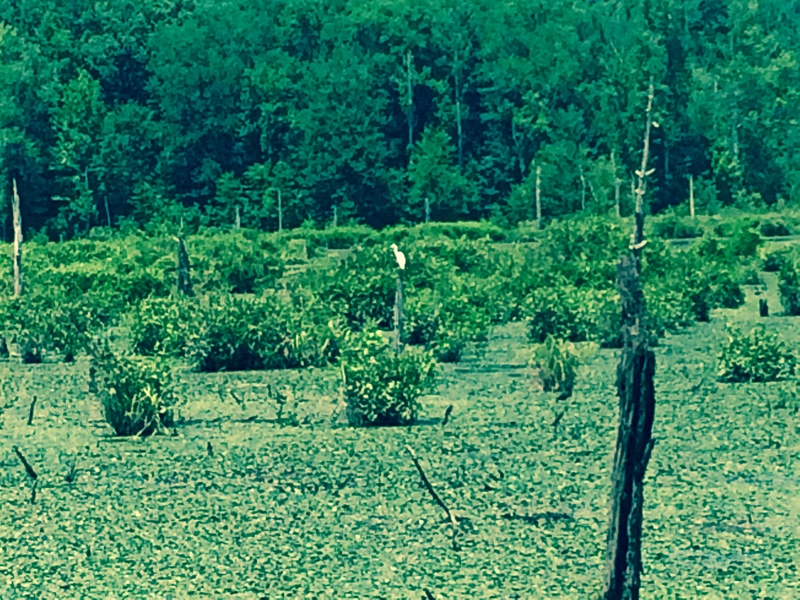 Mark told us that the Cherokee of Appalachia cultivated this wild plant in wetland habitat as a sustainable food to feed their families. Roasted duck and duck potato sound delicious! The day before our class I snapped a few photos of a wetland near my school with a closeup of a toxic plant which resembles katniss. Mark took our class to a wetland area near a meadow to observe a patch of katniss. After comparing both plants, one can easily distinguish between the toxic Arrow Arum (Peltandra virginica) and edible katniss (S. latifolia). 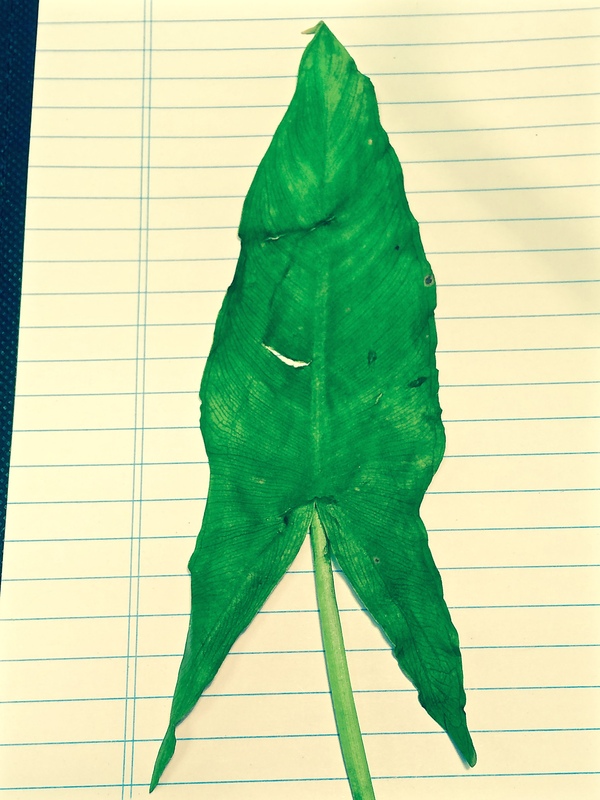 The leaves of katniss are palmate and arrow arum are pinnate. Leaves can vary greatly in size. Palmate – leaves where the nerves radiate from a central point like a curved star burst. Pinnate – leaves that have a main nerve (midrib) with other nerves branching off the full length of the midrib like a feather plume. 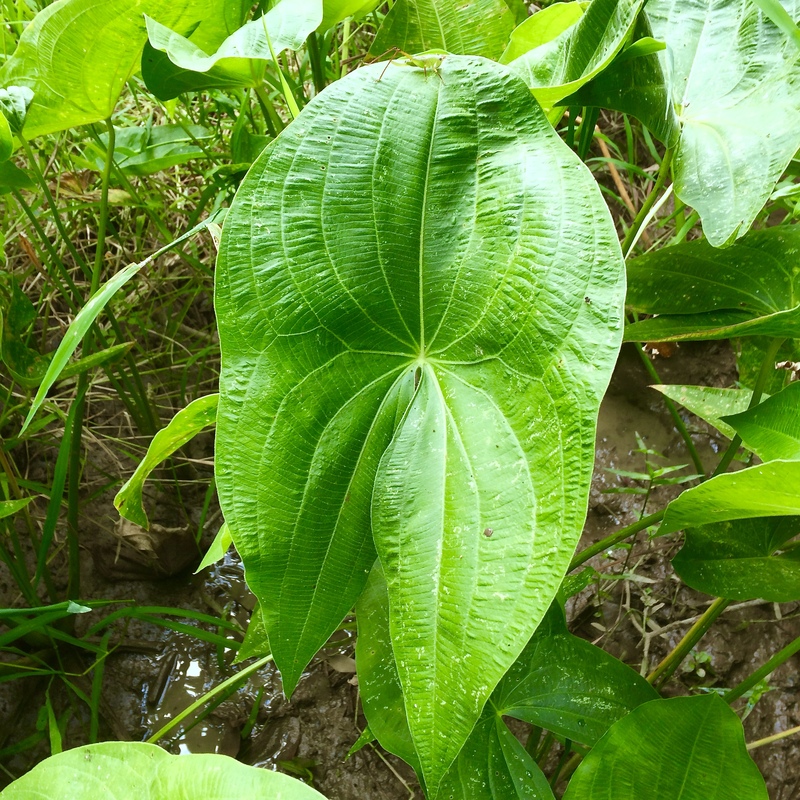 Cardiologist: "This is what happens when you eat a steak"
Arrow Arum’s arrowhead-shaped leaf is often mistaken for katniss. 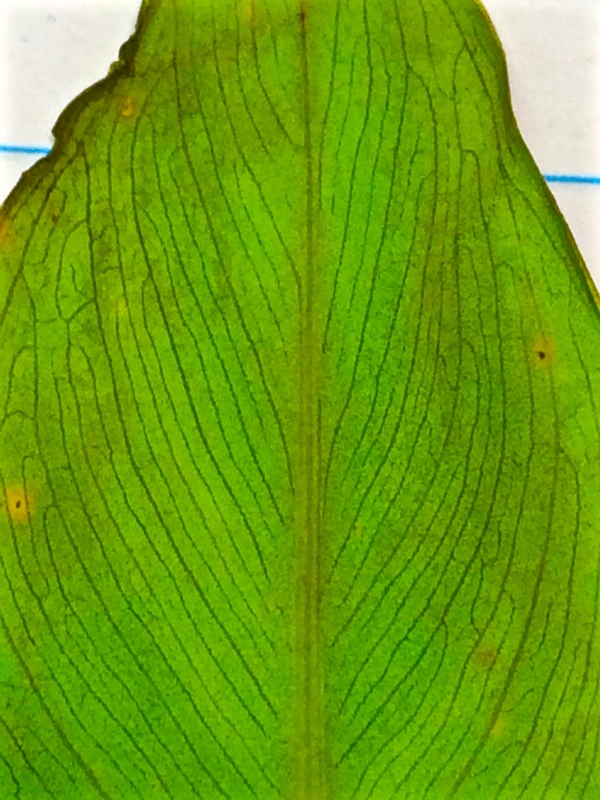 With the side by side comparison above, it’s easy to see which is edible by the distinct difference in the leaf veins. Katniss can be found along shallow edges of ponds, streams, swamps, and bogs. Beaver habitat is another prime location for this aquatic plant. Their range extends across North America in wetland areas except in extreme northern climates. Large colonies can be found in the shallows of lakes. Larger broadleaf arrowheads typically produce larger tubers. Mike Rowe should do a Dirty Jobs episode on harvesting this aquatic food. Nothing about the process is clean. You can’t “cheat” by just pulling on the green stalk to reach the tubers. So roll up you sleeves and get ready for some mudslinging. I trust and respect Samuel Thayer, author of The Forager’s Harvest. He’s been harvesting wild edibles since he was a kid. I tried his stomp method described on page 111. Once you become an ‘expert’, you stop learning. There are many people with more foraging knowledge and experience than this novice forager. You and I will never deepen our knowledge or experience until we trade theory for ACTION. I’ve read books and articles about locating, identifying, and harvesting katniss. But this plant’s starchy tubers are more elusive than I had anticipated. I have the locating and identification part down on katniss. Putting duck potatoes in my skillet has me stumped… for now. I now know a few methods that do not produce desired results. 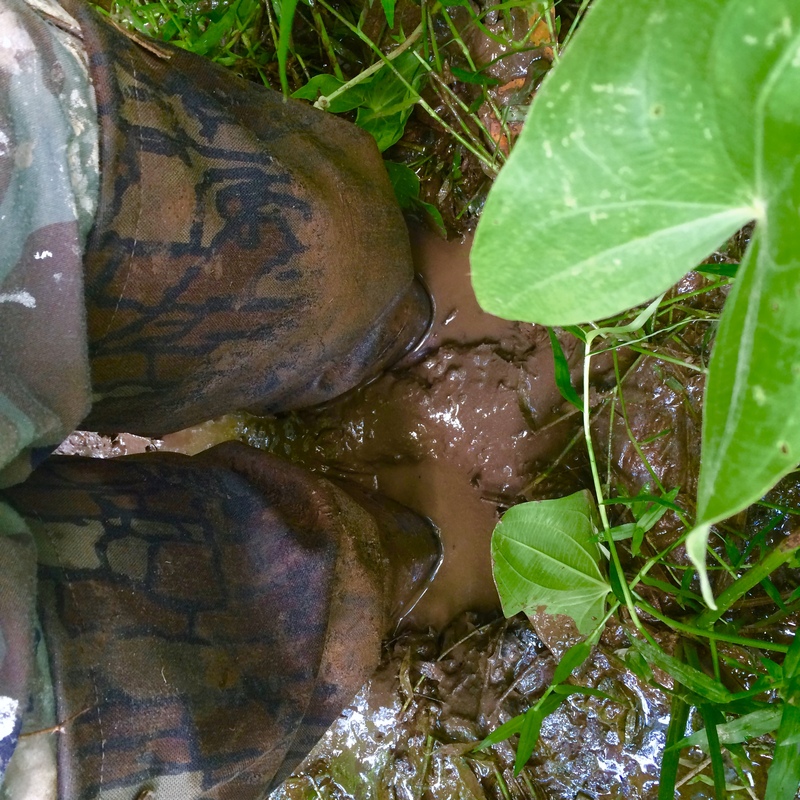 Here are a few dirty lessons learned from my recent foraging foray in hot August humidity… waist deep in a Georgia mud bog. Traditionally, Cherokee women would wade barefooted into a colony of arrowhead and stomp around freeing the tubers from their muddy bed so they would float to the surface for easy pickings. Days of litter-free waterways and pristine shorelines are long gone. You may opt for an old pair of tennis shoes or waders to protect your feet from painfully locating Bubba’s broken beer bottle. Fails, in my experience, are instructive. So are experienced foragers. I trust and respect Samuel Thayer, author of The Forager’s Harvest. Unlike me, Mr. Thayer has been Doing the Stuff of foraging wild food since his childhood. I tried his stomp method described on page 111. Based on my personal experience, you’ll never fully appreciate this method until you’re waist deep in muck hoping you can break the Earth’s suction on your feet and return to solid land. Thayer’s harvesting accounts produced tubers consistently. All I got was muddy… and a bit smarter in the process. Armed with hip waders and a walking stick I made my way to my friend’s property where a thick stand of katniss grows in the swampy end of their pond. The walking stick served two purposes: To move weeds in front of my feet to check for snakes; and, as a horizontal support on top of the bog surface to aid in my rescue from the jaws of waist-deep mud holes. How hard can it be, right? Just jump into a thick clump of katniss and start stomping a man-size hole in the marsh. The embed tubers are supposed to break free from their rhizomes and float to the top of the water. After an exhausting hour of thrashing and spinning in muck, not one tuber floated to the surface. In a long-term self-reliance situation, my haphazard expenditure of calories, with no return on investment, could be costly. This is the main reason we should trade theory for action to develop skills and techniques that actually work when it counts. One other thought about harvesting wild food. Functional fitness should become a priority for anyone pursuing self-reliance. If modern systems fail, imagine the physical dilemma you’ll face harvesting food and performing daily tasks without an established base of fitness. Just a thought. After more research and asking online friends, my problem may stem from bad timing. That is, the tubers on our Georgia plants may not haven’t developed yet. We’re in the dog days of summer here. Katniss plants develop tubers later in the fall as a source of starch for the winter months. More experimental foraging will take place in the same location in September and October, possibly as late as November. Once the arrowhead leaves turn brown and die back, larger tubers should be hiding in their mud beds under cold water. I image a campfire will come in handy on this adventure. Potato Hoe – Use a four-prong hoe to rake down into the mud bed to break the tubers free. From what I read, you have to rake a deep hole to reach the “tuber zone.” Thayer used the hoe while in a canoe and standing in the water with good success. Hands – Locate the rhizomes and carefully trace down to the end to find the tuber. I attempted this method a few times as well. I will not be tuber-less. I have faith that this wild food colony will give up her hidden treasure. Stay tuned for updates in my soggy saga. I will find this elusive Katniss tuber and not starve! Recipes will follow. This article originally appeared on Survival Sherpa.